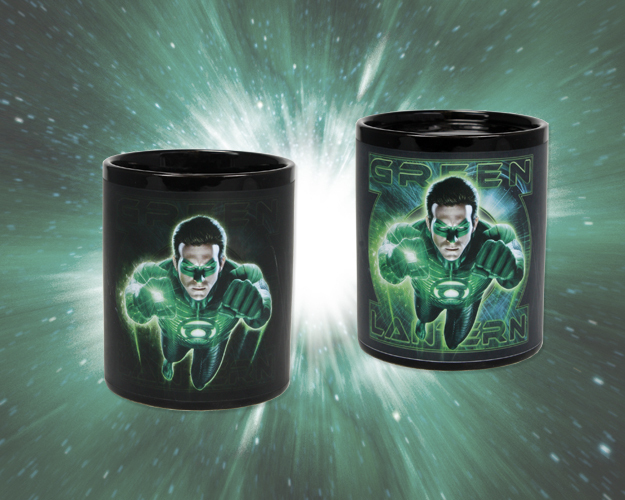 Enjoy your favorite drinks in this color-changing thermal mug from the Green Lantern movie! 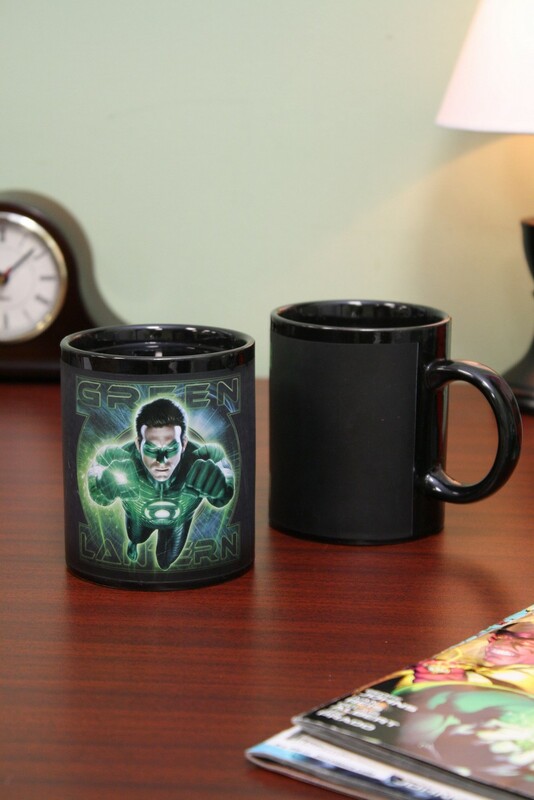 At room temperature, the mug features Hal Jordan and the Green Lantern symbol. 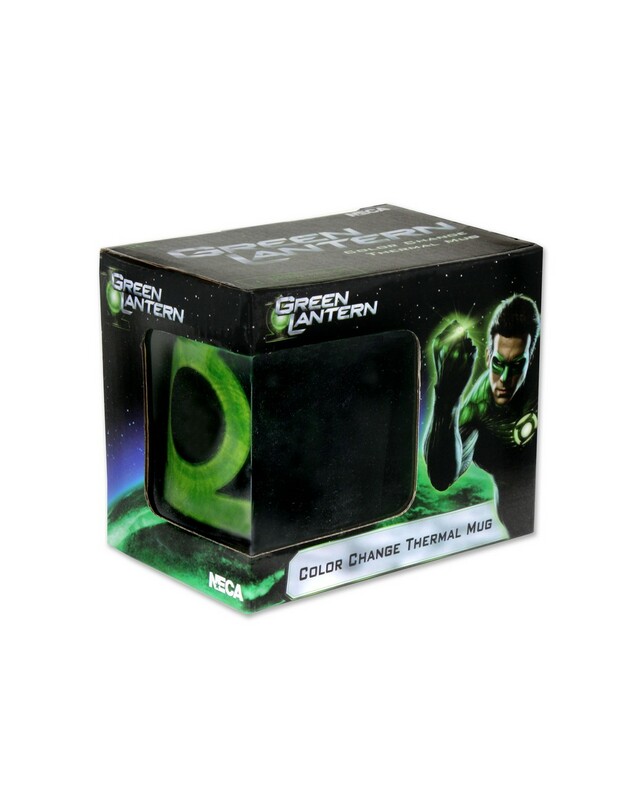 Add any hot beverage and the symbol fills with swirling energy while the words “Green Lantern” appear! Perfect for work, school, home, or as a gift to a friend who will undoubtedly appreciate your generosity.